Free WHM Complete Solution License on selected Reseller, VPS, and Dedicated plans. ScarabWeb offers a wide range of quality hosting products, all designed to give you the very best possible conditions to host your site or to run your business. From small shared accounts, through reseller accounts, virtual private servers and up to fully managed dedicated servers, you can find it with us. Below you can find an overview of our available products and services. Shared hosting is perfect for customers who want to host a small to medium sized personal or business site. Do you want to become your own webhost? Or do you have many sites of your own which you would like to host in an efficient and cost effective manner? Then reseller hosting is what you are looking for. Virtual Private Servers provide you with a stable and secu -re dedicated server type environment at a fraction of the cost of a full dedicated server. 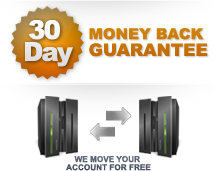 Dedicated servers offer you the full power and customizability of your own web server to power your business or large website. Cloud servers offer you the full power and customiza -bility of your own cloud server to power your business or large website. We sell SSL certificates so that you can securely capture web form information and set up online stores. Scarabweb Hosting has a developed web designing team that is ready to give you the best look to your site. Scarabweb been in business since 2004, in the span of time we have developed a skillful management team, our team consists of management experience of 10+ years,. . .
Scarabweb operates in the most efficient Tier IV datacenter in North America Scherermen Datacenter is located in the heart of Columbus, Ohio and features full redundancy 2 (N+1) .